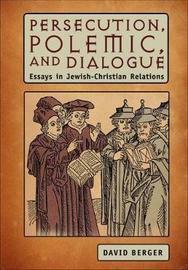 "Persecution, Polemic, and Dialogue" follows the interaction between Jews and Christians through the ages in all its richness, complexity, and diversity. 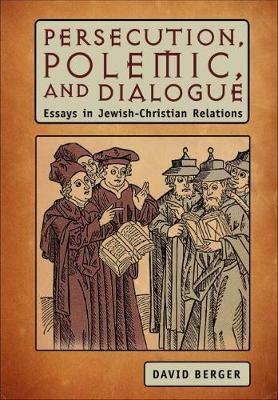 This collection of essays analyze anti-Semitism, perceptions of the Other, and religious debates in the Middle Ages and proceed to consider modern and contemporary interactions, which are marked by both striking continuity and profound difference. These include controversies among historians, the promise and challenge of interfaith dialogue, and the explosive exchanges surrounding Mel Gibson's film on the passion. This volume will engage scholars, students, and any reader intrigued by one of the longest and most fraught intergroup relationships in history. David Berger (Ph.D. Columbia University, 1970) is a former President of the Association for Jewish Studies and the Ruth and I. Lewis Professor and Dean at the Bernard Revel Graduate School of Yeshiva University.